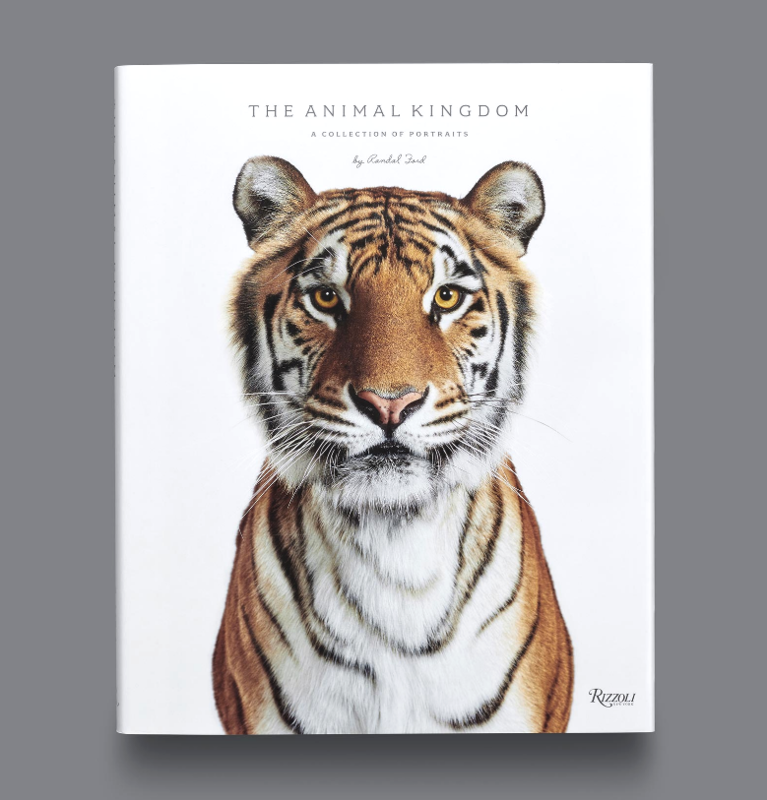 Photographer Randal Ford, who specializes in conceptual portraiture and advertising work, just released a gorgeous book of animal portraits. The Animal Kingdom is a project that he has been creating on along side his regular work for almost 10 years. It all started when DJ Stout of Pentagram Design approached Randal to make portraits of Dairy cows. It was a novel and fresh idea and soon he found himself getting more animal related advertising work. When he self initiated his own photoshoot of a lion, tiger, and bear, it tipped over into a personal project that would take him to many locations and studios to capture a 150 different mammals and birds. He describes his love of photography as a kind of obsession that started in high school and grew into college even though he ended up studying business. By not specifically pursuing an art or photography degree, he was forced to find his own way and solely create a vision of what he wanted his career and work to look like. He used his resourcefulness and determination to learn what he could from various sources and worked hard to build his business and develop his skills by creating a lot of images and by experimenting. After moving to Austin he worked as an assistant and second shooter but soon found himself wanting to go out on his own. Since that time he has built a successful career with advertising portrait work and directing and is now venturing into the fine art world with his arresting studio images of animals. His work has entered the cannon of depictions of animals that humans have been creating since the days of cave paintings. Just as he has perfected his skill in portraying people he now has proven his ability to capture an animals personality, beauty, and soul just as well. The viewer can connect with these subjects on a deeper level as they bring their own emotions and memories to the unspoken conversation we have with art as a mirror of ourselves. Randal is a consummate professional and is obviously a very skilled image maker, aritst, and business person. I really enjoyed this conversation and am excited to share it and help spread the word about his new book. It’s quite an accomplishment and is worthy of the praise it has received. We talk about the book but also the balance between being and artist and running a business and he shares some bullet points and recommendations for aspiring artists towards the end. Have a listen to the interview, share some feedback, and be sure to check out his work at randalford.com. Behind the scenes on some of the animal photo shoots. Released by renowned publisher Rizzoli New York. Available on Amazon. Proceeds for the sales of the book benefit Project Survival's Cat Haven. Come see over 25 large format pieces of Randal Ford’s work at one of Dallas’s most respected photography galleries, PDNB. We will have bites, beer, wine, and spirits from Deep Eddy. Randal Ford will also be doing a signing early in the evening. Open to the public. Come see over 25 large format pieces of Randal Ford’s work at The Davis Gallery in Austin, TX. Randal Ford will also be doing a signing early in the evening.We will have apps and drinks as well! Open to the public.